Born in Kobe, Japan, Haru Shimanishi has studied Martial Arts for over 40 years in the form of Nihon Kempo, Boxing, Muay Thai and Submission Wrestling. Shimanishi is a former competitor and presently a respected trainer, teaching all over the world. In 1986, Shimanishi came to the United States and settled in Seattle, Washington where he first began teaching many successful international competitors. In 1991, Shimanishi established American Martial Arts Center (AMC), where he has successfully trained seven (7) World Champions. In 1996, he received the WKA “Trainer of the Year”, in 2005, ICON SPORTS “The best MMA trainer of the year”. Haru subsequently moved to Oahu Hawaii and established a new school, Hawaiian Martial Arts Center, aka HMC, with three locations. HMC Kalihi is owned and operated by Kevin Yoshida and his family. HMC Wahiawa is Haru Shimanishi’s North Shore/Central Oahu school location, which teaches MMA, Muay Thai Kickboxing and Boxing. HMC Wahiawa is also the office of Kakuryu Hawaii, operated by Koichi Tanji, which specializes in training International students from Japan and abroad. HMC Kaimuki is operated by Chris West. Shimanishi also coached for the Prince in Abu Dhabi’s Combat Team. Born and raised in Japan, Haru Shimanishi is bilingual and possesses many connections with Japanese fight organizations (No Holds Barred, Kick Boxing, “Glove Karate”). 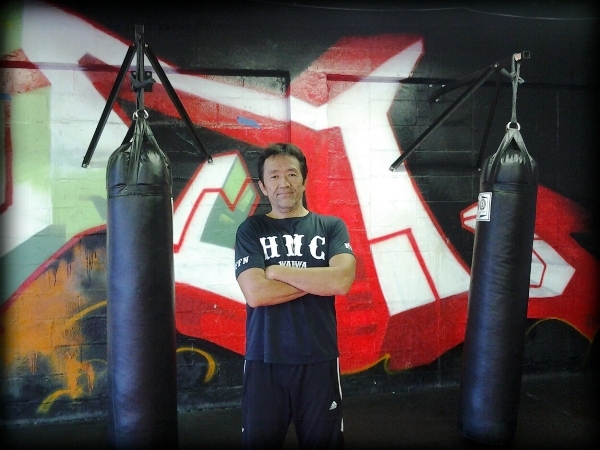 Haru Shimanishi was the co-founder of United Full Contact Federation (UFCF) and currently serves as an advisor, promoting Muay Thai, kickboxing, as well as promoter for professional and amateur events.